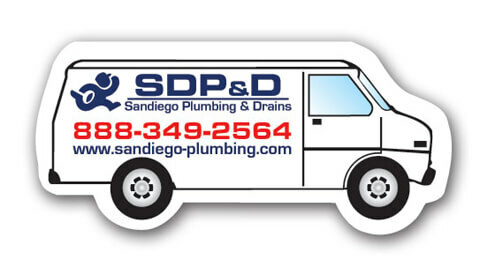 Emergency Plumbing Services is San Diego Plumbing and Drains SDP&D and we look forward to servicing your plumbing and drain needs. When you call, a Plumber will answer the phone! Not an answering service or dispatch center telling you that they don’t know anything and can only send a technician out. Residential or commercial, we fix, repair, remove, replace, and install new plumbing fixtures, kitchen faucet, valves, risers, toilets, toilet fill & flush valves, shower valve cartridge, water supply lines, lavatory and kitchen sink basin installs, spigot, pop up, hose bib garbage disposal repair and/or replacement, dishwasher hook-up, and water pressure regulator installs, and water heaters, recirculating pumps. We have been in business for many years now providing quality services in the San Diego County area.